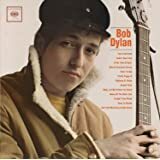 Bob Dylan’s first 8 studio albums pressed at RTI on the highest quality 180-gram audiophile vinyl. Also included are reproductions of the original LP artwork, including inner sleeve art and original inserts, all in heavyweight, wrapped jackets. Also includes beautiful 12x12” book with new liner notes, rare photos, memorabilia and more! 5.0 out of 5 starsAn essential set for any audio enthusiast. Great quality set with efficient and quality design. 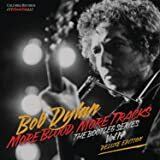 The mono recordings are completely essential for any Dylan fanatic. I think these are my favorite masters of these recordings. MFSL does some of their own, but the engineers and audio guys closest to the material worked on this release. Get both if you want. The albums are marvelous. 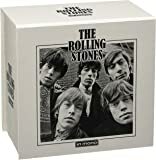 Most people are so used to the stereo versions they probably don't realize mono is essential for at least the first couple records, and most people prefer it for the brunt of his early career captured on these discs. 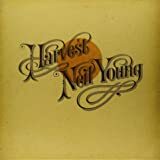 I can dig the stereo versions for a couple of the later records, but for his debut and the couple that followed after this is all you will ever need. Discs come in nice digipacks with a solidly designed paper sleeve. 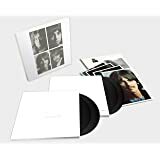 No rice paper like the Beatles Mono set and no plastic covers for the digipacks. But the set is fairly cheap, and otherwise is a top notch quality set with a good booklet. I looked at two sets because one was damaged, and they had slightly different color temps on some of the artwork. One was slightly colder than the other. Not really sure if the vinyls were like that back in the day with the different presses. Other than that I can't say much except to say this is a great and decently priced set at the time of my purchase. I've had all these LPs in stereo since 1975 and loved them all, bought the CDs when they came out and, well, they are OK. The recordings never seemed particularly great. I always thought his best-recorded album was Time Out Of Mind... and then I read the reviews of the mono collection and thought I'd give it a go, blown away as I was by Another Self Portrait. It was like hearing them for the first time. I heard all sorts of detail I had somehow missed throughout all those years, and it was important detail. It now seems ridiculous that he ever released stereo versions of the first four albums, which are just him and his guitar, but to me the real stand-outs are Bringing It All Back Home and John Wesley Harding. I have always thought It's Alright Ma, I'm Only Bleeding to be one of his most powerful songs and the clarity of the mono recording adds to its uncompromising brilliance, especially the echo which is so perfectly concentrated here. 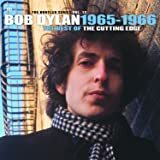 The guitar work throughout John Wesley Harding is strikingly clear, particularly Dylan's artful strumming. Indeed, it is a surprising fact that the sound separation on these mono recordings is much more distinct than on the stereo equivalents. Throughout, the instrumentation is more clearly articulated. 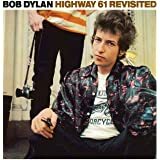 The only album that did not impress me muchly was Highway Sixty-One Revisited. After the earlier ones, I was anticipating something special especially for Desolation Row but it didn't happen for me. 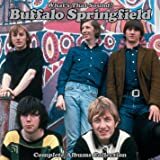 Note, a single CD set has been created from this package; it does not include the most impressively different tracks and it includes a track not found on the albums: Positively Fourth Street. I am throwing away my old stereo CDs. I'll never play them again. 5.0 out of 5 starsThe music comes alive in the original mix. I gulped and splurged for these, hoping they would be very good. They're great! 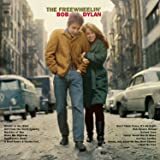 Not only is this the original, real mix that the young Dylan made, but his voice and every instrument blow out of the speaker(s) with a presence, clarity, and definition that is even better than the original pressings (most of which I have, some pretty scratchy now). The original liner notes are great to have, and the original sleeves and inserts for some give a nice sense of how these albums first appeared. The booklet very usefully lists the musicians for every track. If you love these albums, you'll love these pressings and booklet. I'm happy I splurged. To my ear this sounds great. 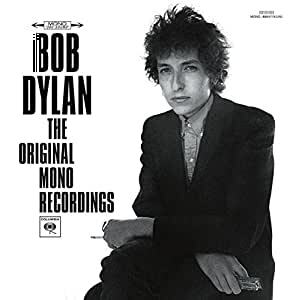 Unlike the Beatles in Mono, which is often fascinating, due to the often dramatic differences in material between the mono and stereo mixes, Dylan in Mono isn't revelatory. You don't hear things you've never heard before. Nonetheless it sounds "correct." As others have mentioned there's a punchiness to these recordings that was diffused in stereo - in some cases, particularly on the earliest records, this amounted to a substantial loss in power. 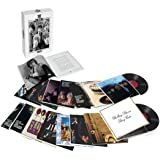 This is also true of some of The Beatles albums, but, with an album like "A Hard Day's Night," there is a case to be made for the panoramic qualities of the stereo mix, even if it came about haphazardly, without the input of the Beatles themselves. 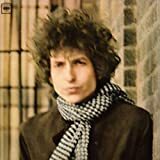 I don't feel that way about "Blonde on Blonde" or "Highway 61," both of which sound a little TOO thin and mercurial (so to speak) to my ear in stereo, even in their remastered editions. The mono puts the harmonica back in its rightful place in the mix and, more centrally, gives these albums a much more stable bottom register. The drums and the bass have much more authority here. I feel like I enjoy listening to these albums again...to say the least. I'd also like to comment about the packaging. My box was also shipped in a stupid padded envelope. Thankfully nothing was harmed - but that thanks probably goes to the post office. The same day I received another package from amazon, this time nicely boxed with inflatable plastic to cushion the enclosed item - a 15 dollar printer cartridge that came in its own box. Like I say, my item arrived in perfect shape, and I also didn't have the trouble that some here have reported with the bonus Brandeis disc. It was adhered with glue dots but CD and dots came off without leaving any residue. Still, I've got to ask - Why has Amazon singled the Dylan box out for such indifferent packaging? 5.0 out of 5 starsMono, are you kidding me? I can't tell you how good this sounds on my phono! I'm shocked! While listening to this I never miss stereo. We may well have been fooled into believing that stereo or digital would somehow sound better. This is the best surprise I've had since my first grandson was born on my birthday.